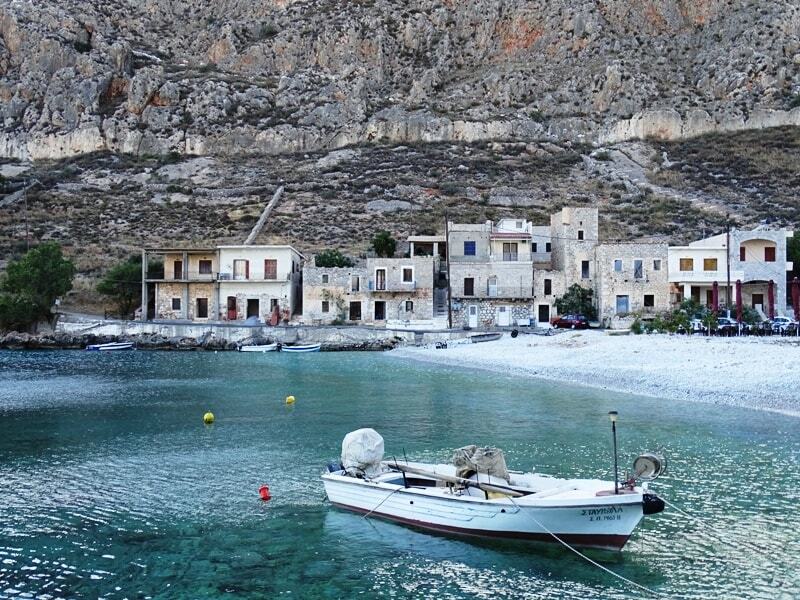 The region of Mani is located in Southern Peloponnese, and it expands in the prefectures of Lakonia and Messinia. It is an area of great history and beauty and offers visitors a variety of activities. I am very lucky to have spent many summers and weekends in the area, as I have a lot of friends from there. I have stayed in both prefectures, Lakonia, and Messinia, not only in friend’s houses but hotels as well. It’s a picturesque fishing village with excellent fish taverns and beautiful tower houses. Here you can admire the tower house of the Mavromichalis family, which played a significant role in the Greek War of Independence. The village is perfect for swimming as well. Although it doesn’t have a proper beach, a few steps are leading to the turquoise waters of the sea. I had my first bath of the season there earlier in June. 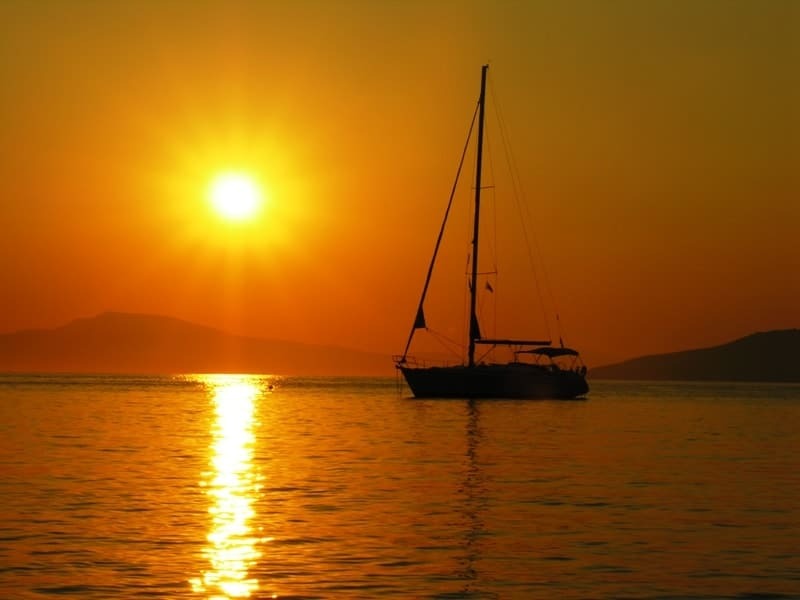 Click here to book a hotel in Limeni. Areopoli means the city of Ares, the ancient Greek god of war. It is the capital of the area, and it was declared as a traditional settlement. 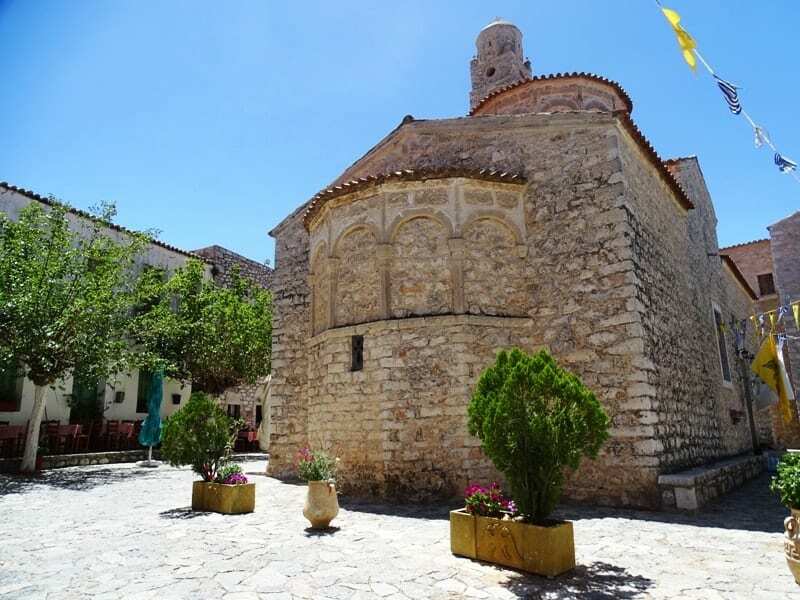 At the center of the town, there is a big square with the statue of Petrobay’s Mavromichalis. Around the plaza, there are some beautiful stone alleys, with many preserved tower houses, churches, shops, taverns, and bars. In ancient times, it used to be the most important port of the area. Now it’s a traditional fishing village with lovely restaurants and a pebbled beach. 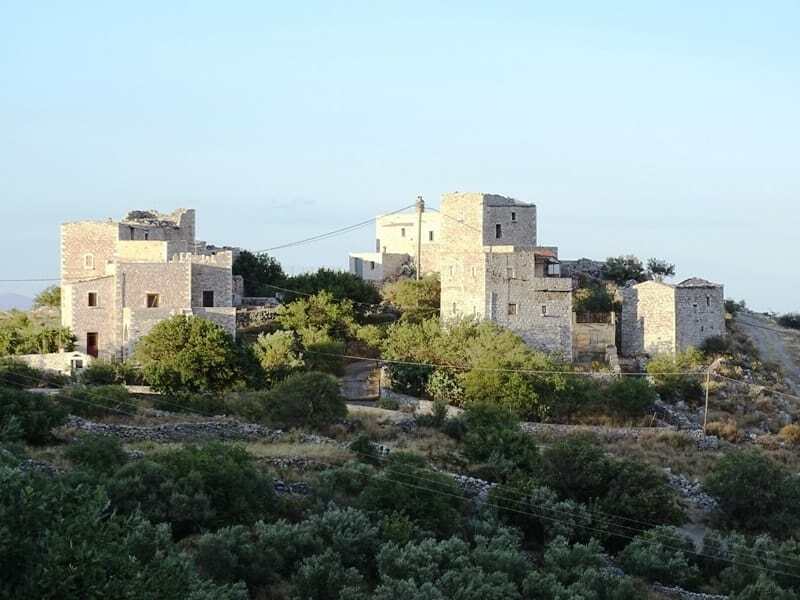 The traditional settlement of Vathia is located on the top of a hill with incredible views. It is a scenic village with around 70 tower houses that are all abandoned. 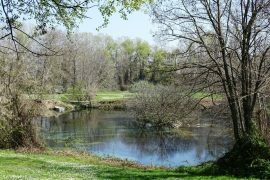 During the 19th century, it was a community full of life. 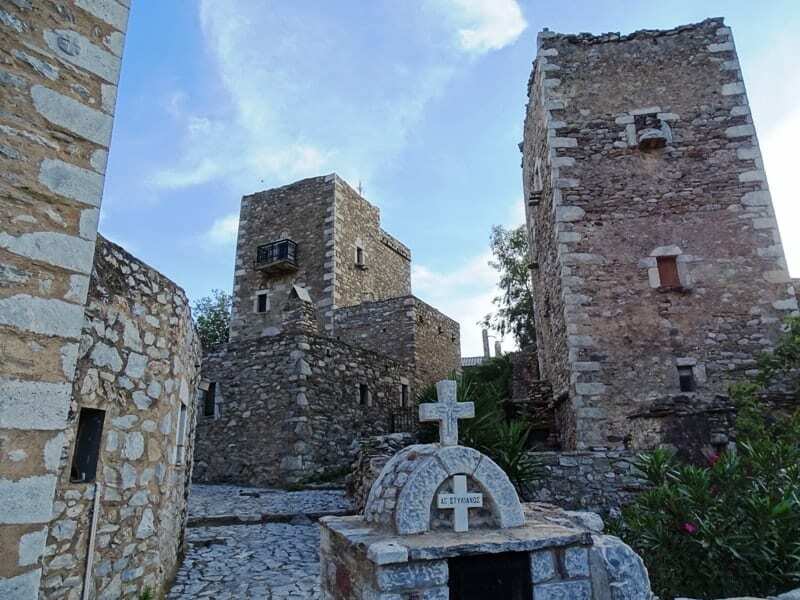 Vathia is among my favorite places in Mani; I love walking around the abandoned tower houses. I visited the Diros Caves a couple of years ago, and I can still remember my excitement. It is a perfect place to visit with children; they are going to love it.There are three caves, but only one, cave Vlyhada is open to the public. 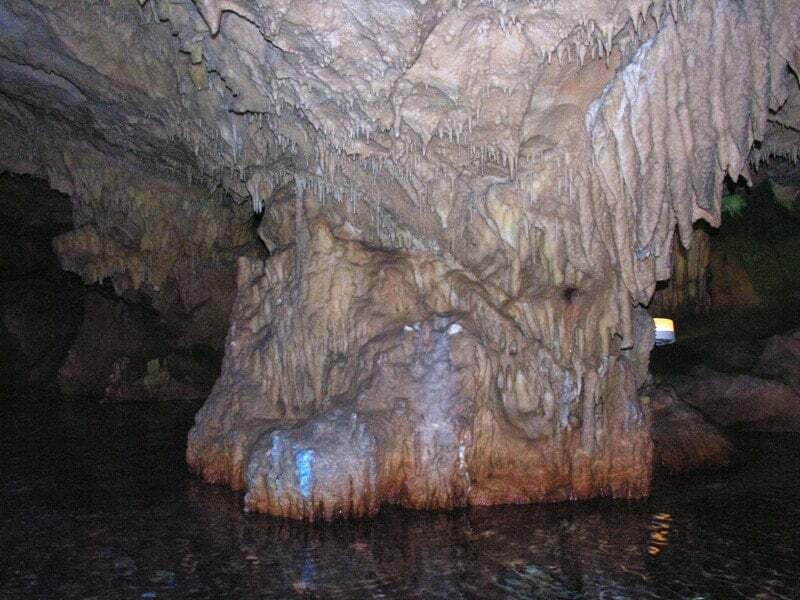 It is one of the most impressive lake caves in the world. 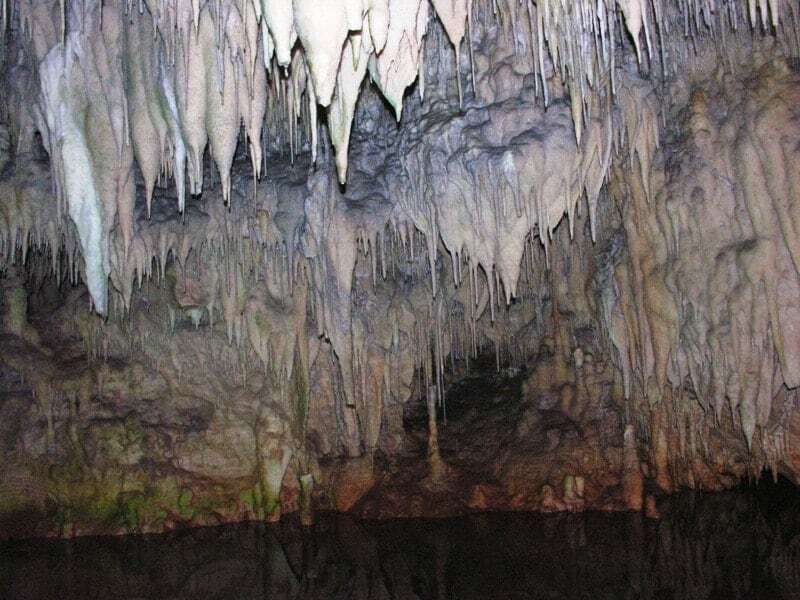 It is full of impressive stalagmites and stalactites. A big part of the route is made by boats and a smaller part on foot. 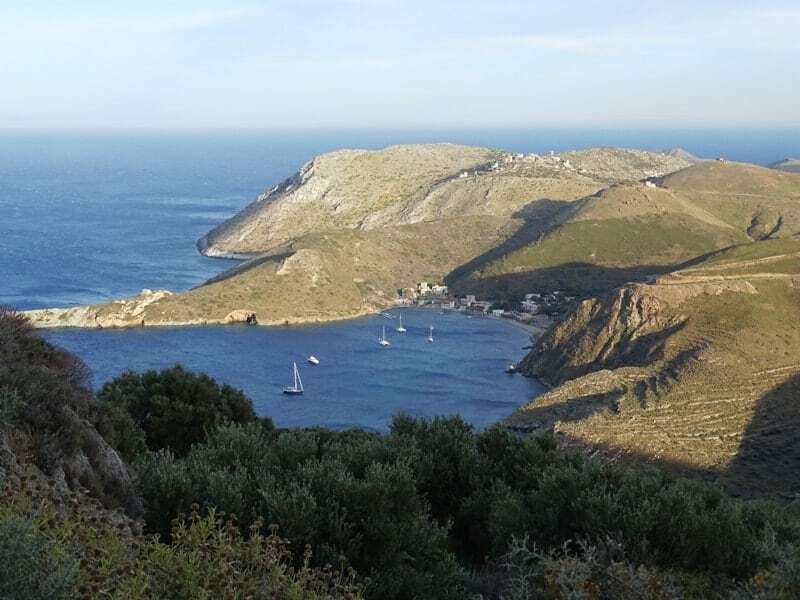 Cape Tainaron or Cape Matapan is the southernmost point of mainland Greece. 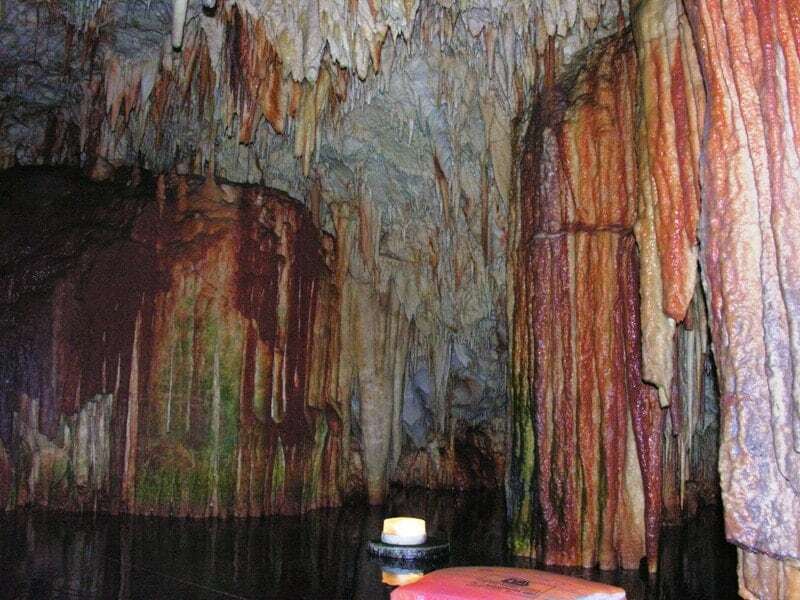 According to the legend, the cave that you can still see today is the gate to the underworld and home of Hades, God of the dead. The ancient Spartans built a lot of temples in the area with the most important one being the temple of Poseidon, God of the sea. You can also walk to the lighthouse at the end of the cape; that is now in disuse. It takes around 20 minutes, but it’s better to ask the locals before you go because sometimes of the year the area is full of snakes. It’s a charming town amphitheatrically built with many neoclassical buildings. It used to be the port of ancient Sparta until it was destroyed in 4th century AD. Now it’s the largest town in Mani. 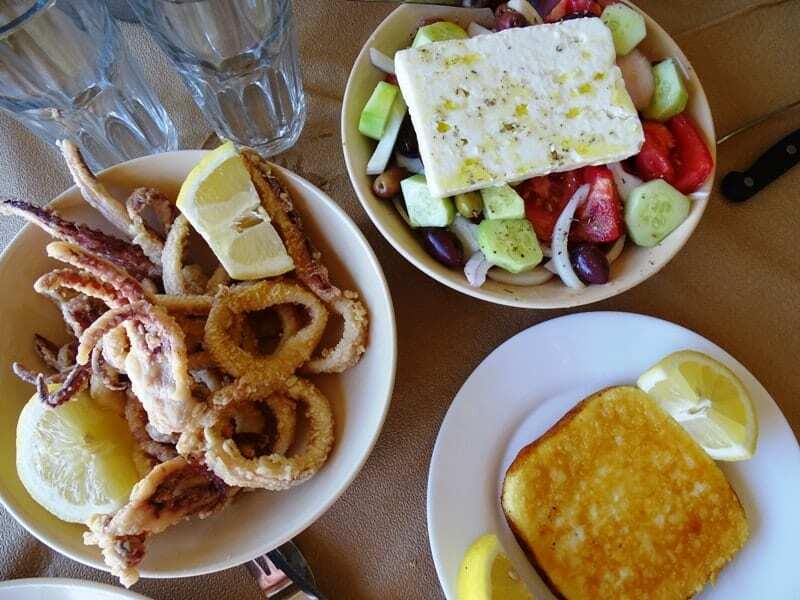 There are some excellent tavernas on the waterfront and from the port you can catch a ferry to Kithira Island or Crete (a few times per week). 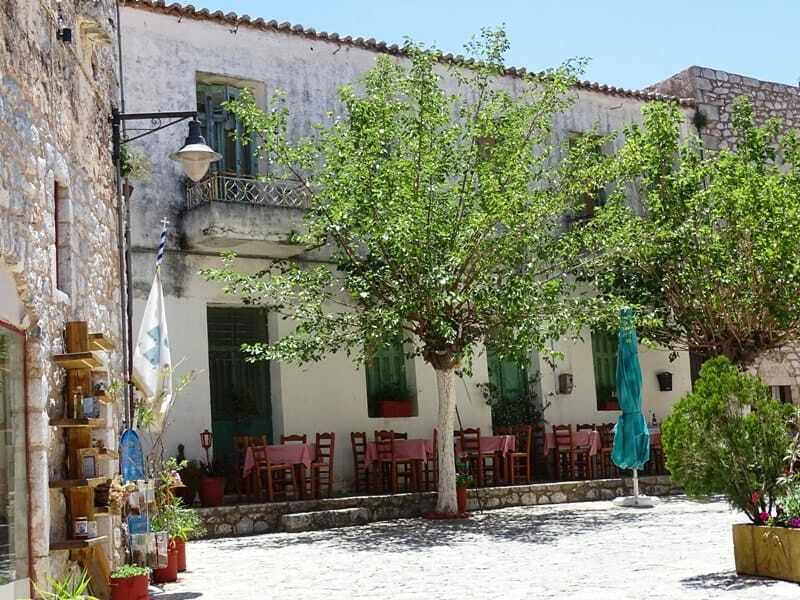 Check out accommodation options in Gythio. 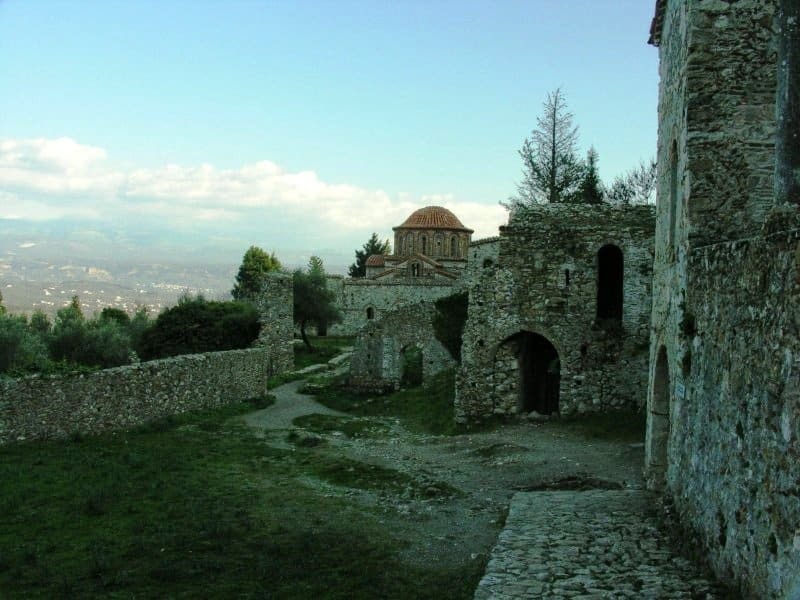 The castle town of Mystras is the most important Byzantine monument in Greece. It was also declared by UNESCO as a World Heritage Center. 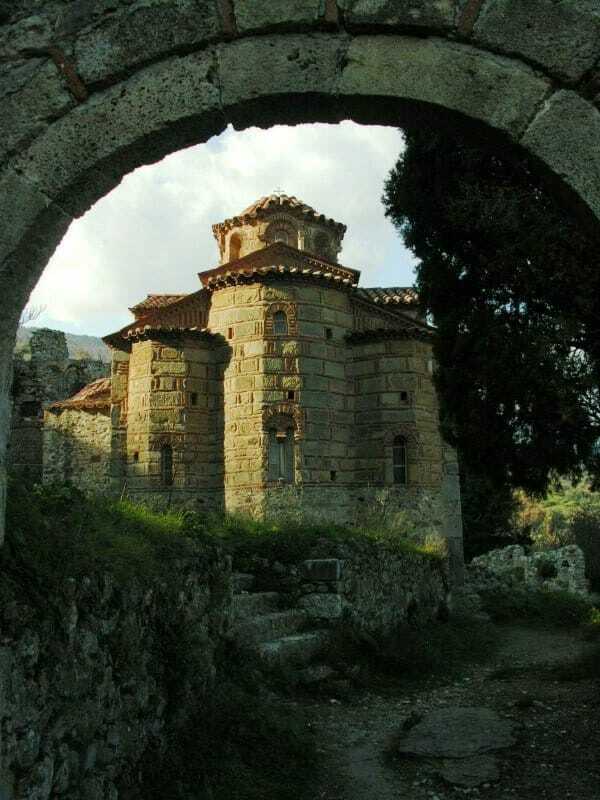 The town of Mystras was built amphitheatrically around the castle in 1249.It was conquered by Byzantines, the Venetians, and the Turks until it was abandoned in 1953. 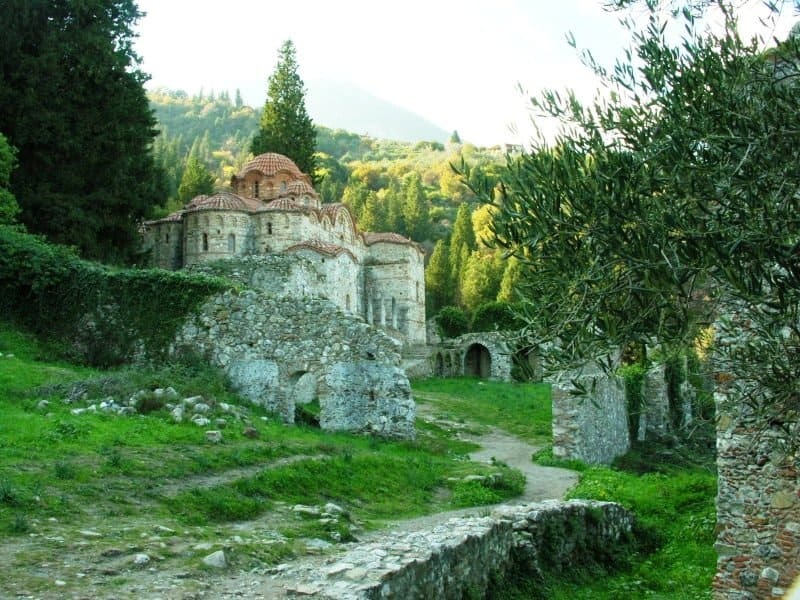 There are many Byzantine churches inside the archaeological site worth seeing along with the Acropolis and the town walls. Tickets: Full: 12 €, Reduced 6 €. 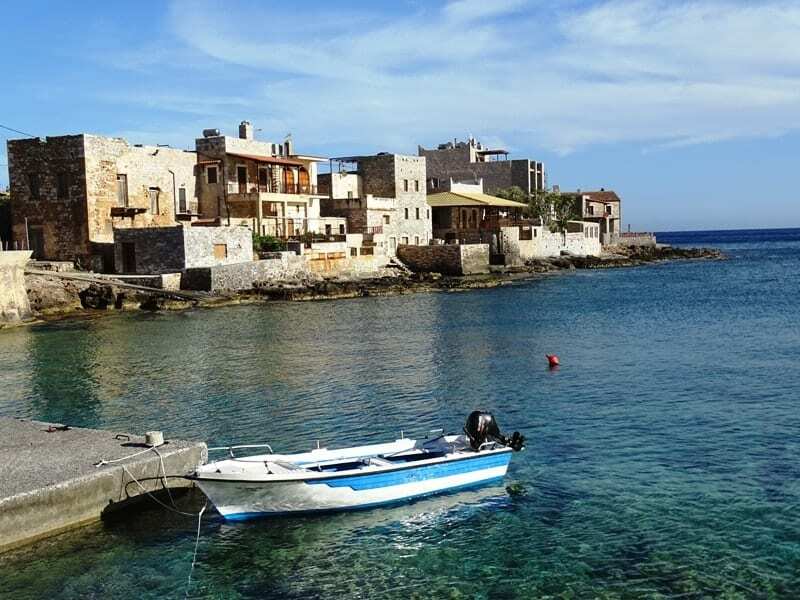 Although it is not very close and you probably need 1 to 2 hours driving depending on where you are based the castle town of Monemvasia makes the perfect day trip of Mani. 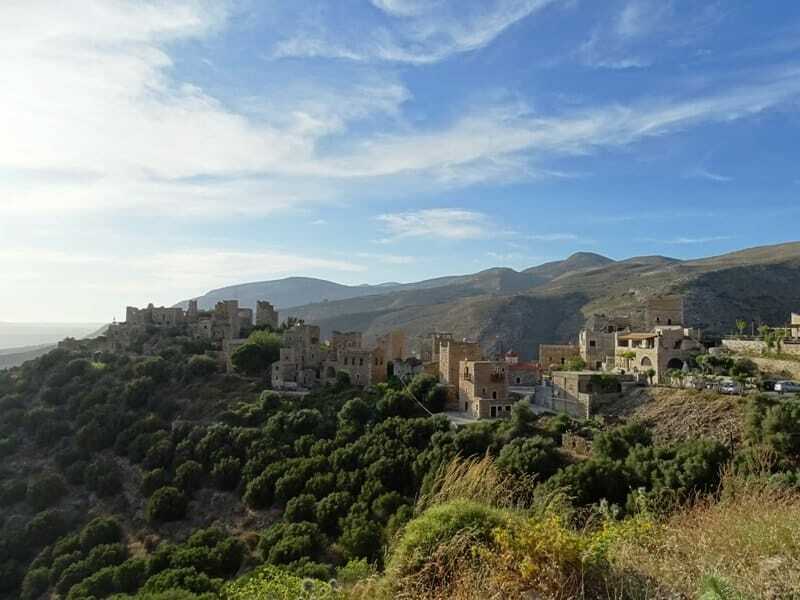 For more information read my post: Monemvasia, a Greek castle town. 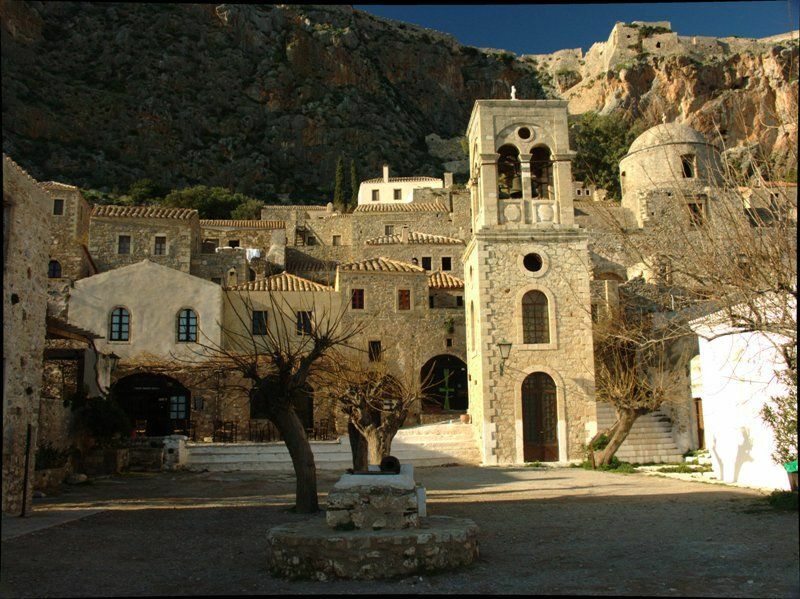 Would you like to stay inside or near the castle of Monemvasia? Check here some great hotel options. 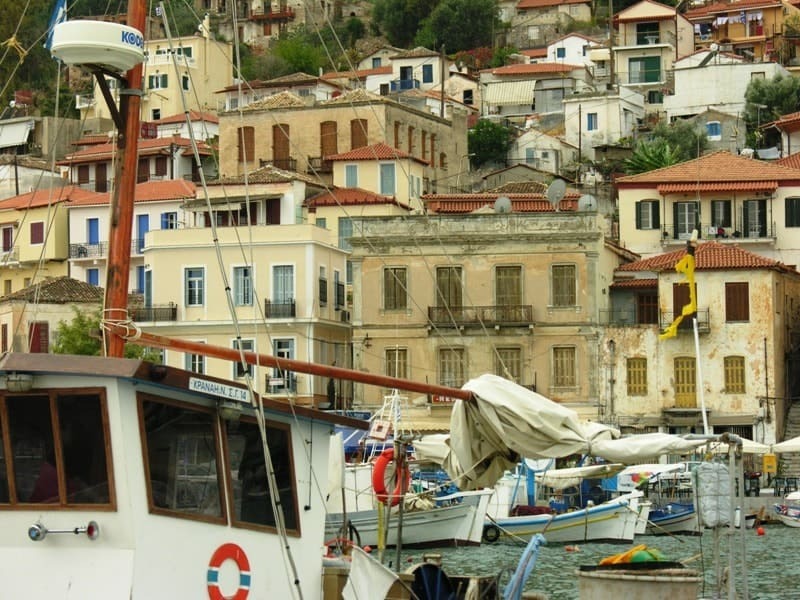 Agios Nikolaos or Selinitsa as the locals call it is a charming fishing village. There are some nice rooms to let and a couple of nice restaurants and bars around the small port. The village makes a nice afternoon walk. 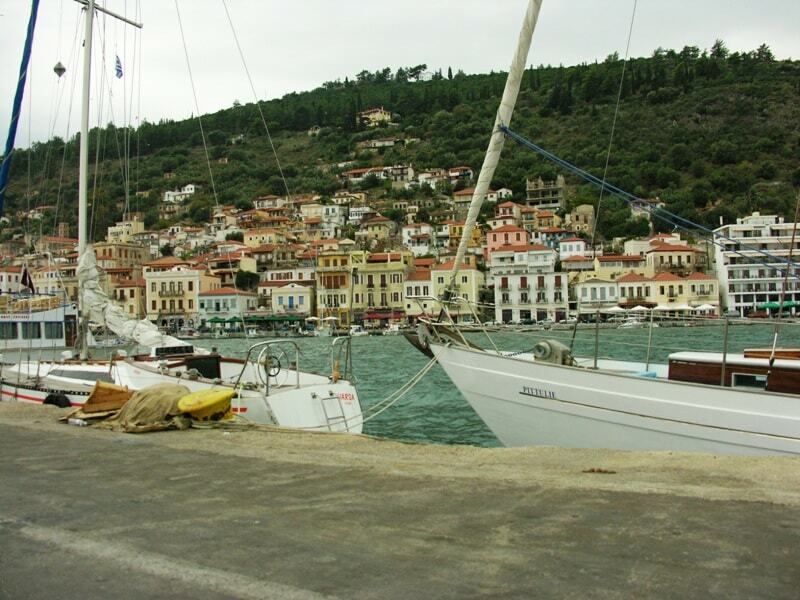 Little port of Agios Nikolaos village in #Mani #messinia south #peloponnese. 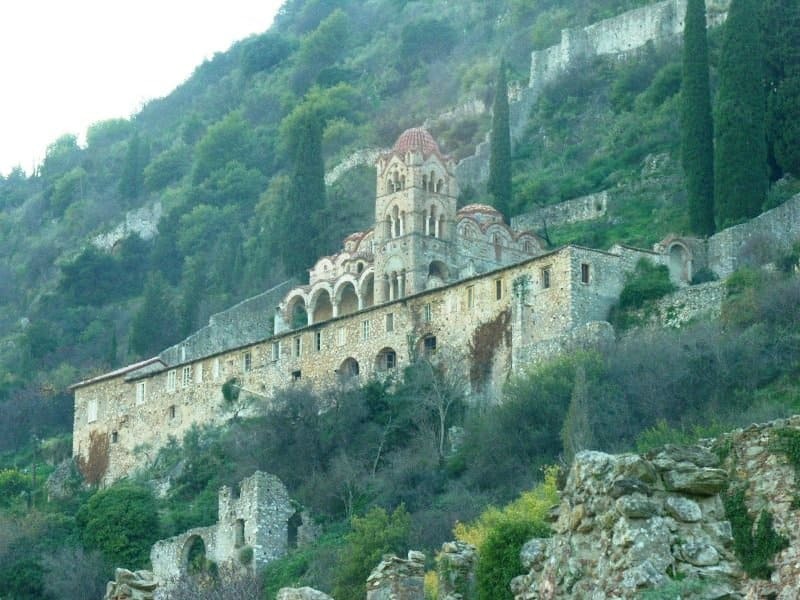 Stoupa is a charming village and popular tourist destination. 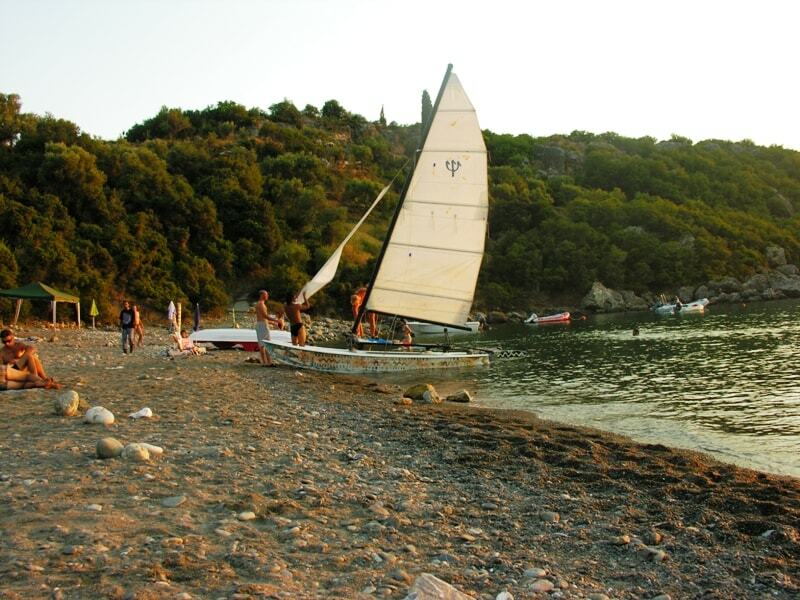 There are two lovely beaches in the village Kalogria and Stoupa beach. There is also a variety of restaurants, bars, shops and hotels in the area. Stoupa is also a popular destination for families. 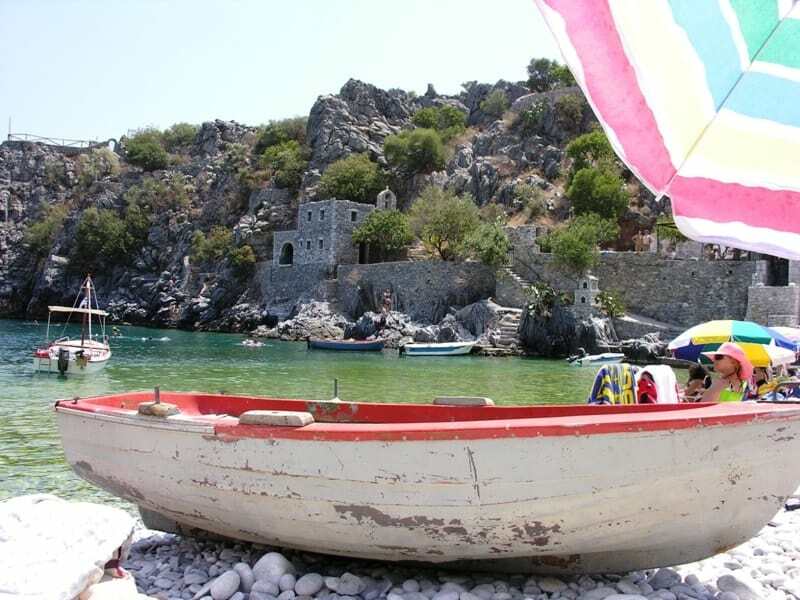 Over in the bay opposite, is the impressive Koroni castle that I totally recommend visiting. 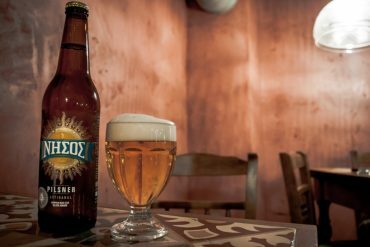 You might also be interested in this Stoupa Guide for families. 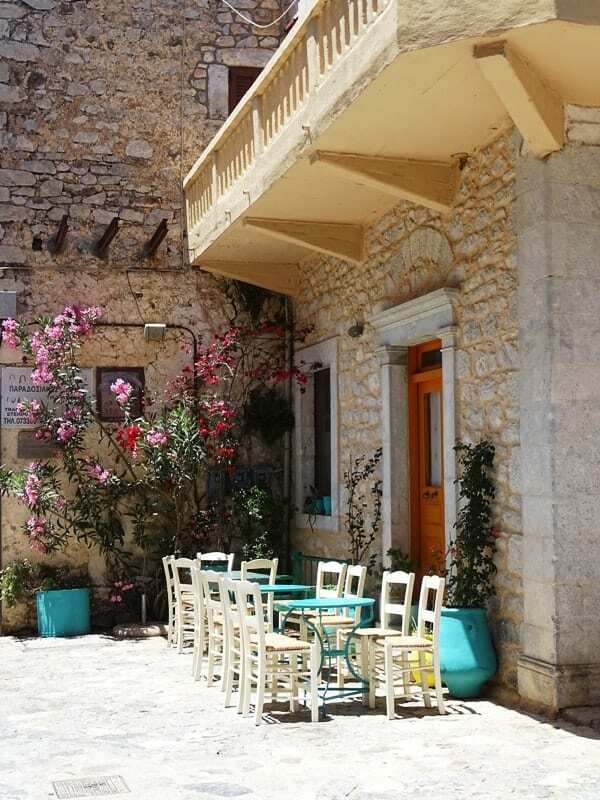 Find here the perfect hotel in Stoupa. 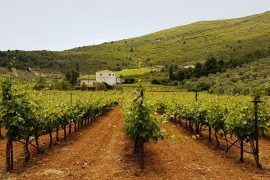 It’s in my opinion, one of the most scenic villages of the area, full of stone houses with orange tiled roofs, olive groves, traditional shops and excellent restaurants. 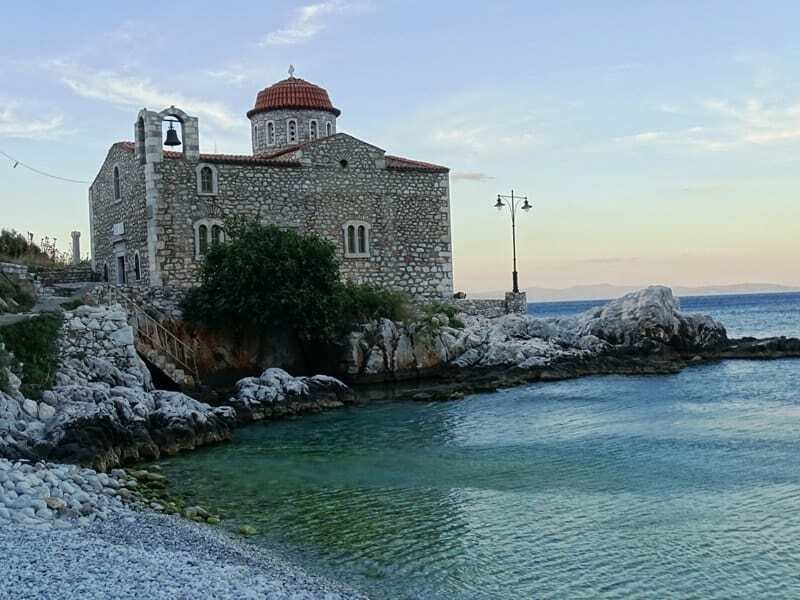 Scenes from the movie “Before Midnight” were also shot in the area. 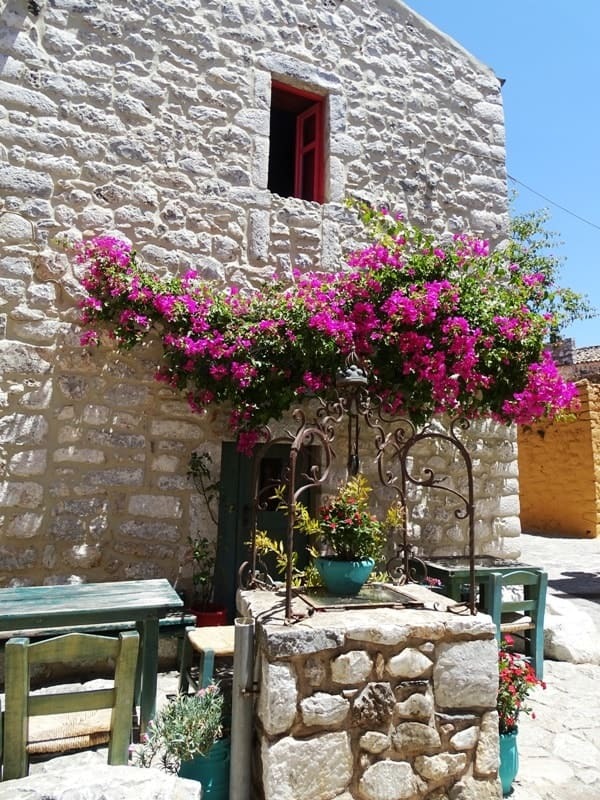 Around the areas that I mentioned above, you will find many charming villages worth stopping by in this beautiful area of Greece. One of my favorite but during high season, it’s always crowded. It is organized with white sand and crystal waters. Perfect for families. Located opposite the main walking road of Stoupa, full of restaurants and shops it’s an organized beach preferred by families. Another favorite less crowded with small pebbles and nice waters. It’s not organized so you should carry whatever you need with you. Another favourite beach with big stones and a big rock dividing it in the middle. It is not an organized beach, but there is a beach bar operating on site. If you are lucky, you can find some shade under the rocks. A big beach with white pebbles and olive trees. A beautiful beach with big pebbles. There is a beach bar on site. It’s not actually a beach, but you can descend a couple of steps and swim in the turquoise waters. One of my favorite as well. Another favorite in this part of Mani. It’s a small bay with pebbles and tower houses around it. There is a taverna on site. There are many other beaches in the area, but that’s the ones I have visited so far. Kyria Lela A taverna I have eaten a couple of times located in Kardamili. It is located in a courtyard under vine leaves and overlooking the sea. 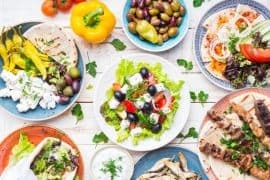 It has excellent Greek traditional cooked ( mageirefta) food. Don’t forget to try the Politiki salad. It’s a village in the mountains near Stoupa. In the square of the village and under the plane trees you will have the most amazing souvlaki (skewered pork). We have been going there for years. If you visit at night, take a jacket with you as it gets chilly. To Magazaki tis Thodoras: Located on the bay of Limeni with tables overlooking the sea and tower houses is among my favorites. The owner Thodora is super friendly and polite. We had some fantastic fresh fish and salad. 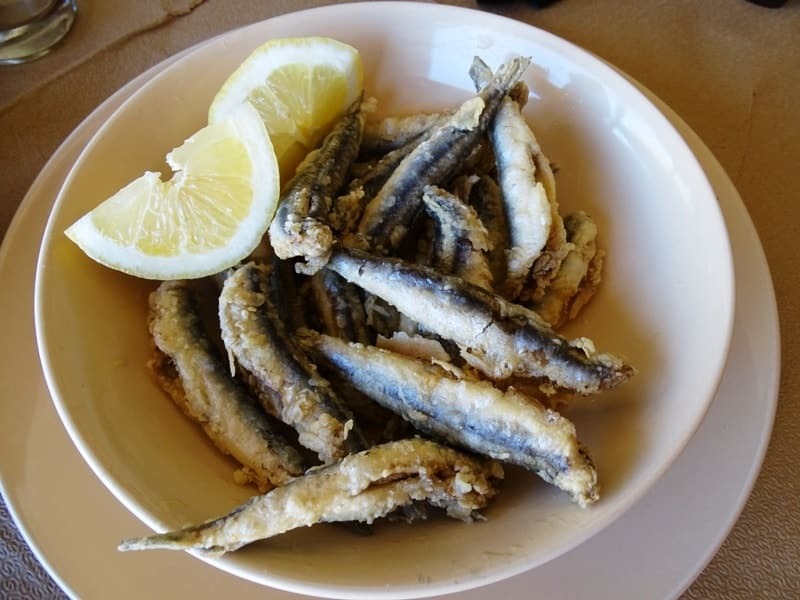 You can also taste a variety of dishes based on the local cuisine of Mani. Here you can also sit for a coffee or an ouzo while you swim in Limeni. Barba Petros: You will find it in the alleyways of Areopoli, It has a beautiful yard for lunch and tables on the alley at night. 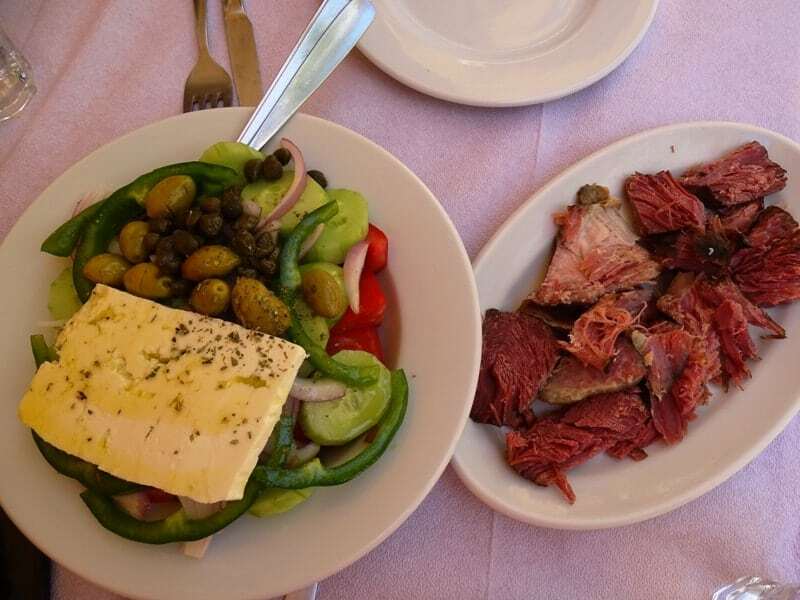 I recommend Siglino ( a traditional food of the area made of smoked pork), fresh salad, and mpiftekia. We didn’t like the lamp it was full of fat. I have stayed in many places in Mani mostly in friend’s houses. I recently spent a weekend in Petra & Fos hotel in the area of Oitilo near Limeni. You can read all about it in my post: Petra & Fos Boutique Hotel in Mani. 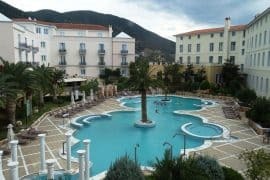 Apart from the beautiful rooms with the traditional architecture, the friendly staff and the most incredible swimming pool with views of the whole bay, I recommend the hotel if you want to explore the places I mentioned above. The hotel is situated exactly in the middle of everything. For more information and to book Petra & Fos Boutique Hotel click here. Now if you don’t want to explore the area ( I don’t recommend it) and you only want to spend the day on the beach and have everything within walking distance I recommend that you stay either in Stoupa or Kardamili. Another nice hotel that I stayed near Stoupa is Anaxo Resort, but you still need a car. This hotel is perfect for families as it has a fully equipped kitchen. For more information and to book Anaxo Resort click here. By air: The closest airport to Mani is the one in Kalamata town. There are a couple of international flights operating this year. 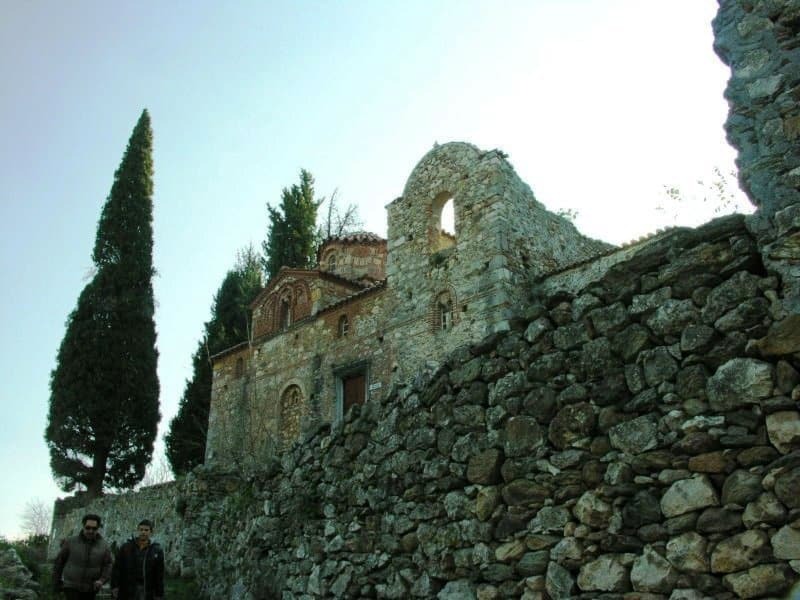 By car: If you are going to Messiniaki Mani (Stoupa Kardamili) then from Athens you take the road towards Kalamata. After Kalamata, the road is a bit curvy. 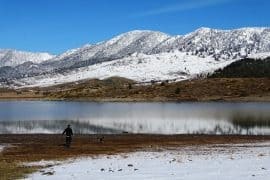 You need around 3 to 3 and half hours to get to Stoupa. 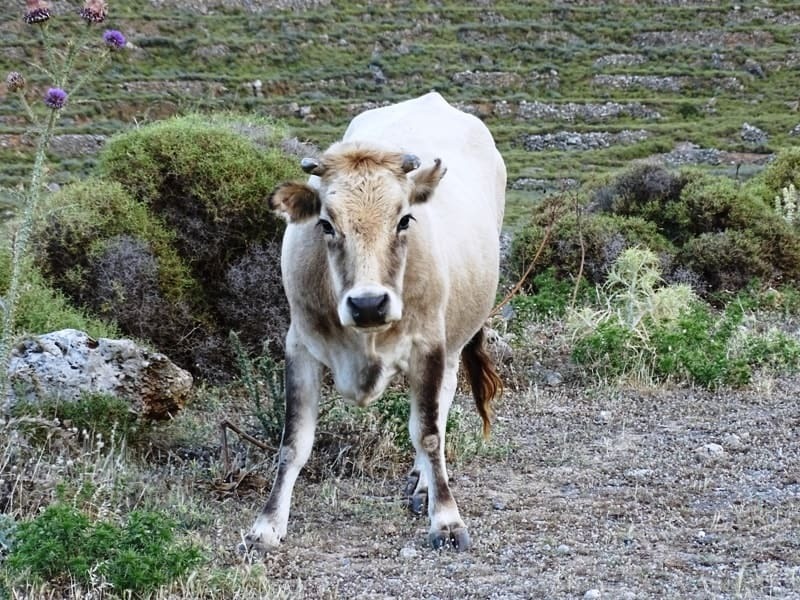 If you are going to Lakoniki Mani (Oitilo, Areopoli) then from Athens, you take the road towards Sparti. In around 3 and a half hours, you will be in Areopoli. The good news is that both the roads to Kalamata and Sparti are new but with a lot of tolls (expect to pay around 20 euros each way). Mani is a unique place in Greece with dramatic scenery, steep mountains, olive trees and tower built villages scattered around. 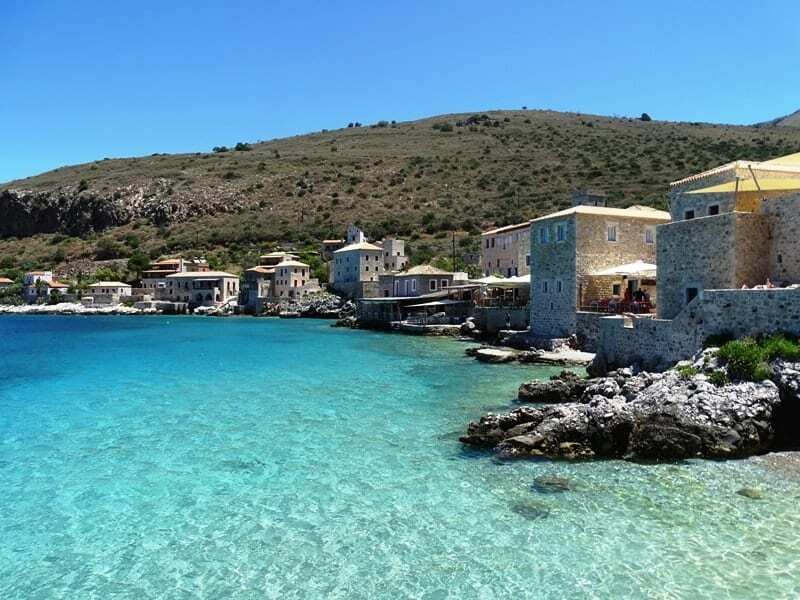 Have you been to Mani? Try Ellie’s the next time you are in Ag. Nik. Great review of our area!! Thanks Jackie! Of course I will! Great guide but maybe you should warn people that it may not be worth driving down to the caves at Diros during peak season at least. We were turned away around one o’clock as there were no tickets left and told to return at nine the following day to have a chance of getting in! We were also told to expect a queue of a indeed people at that time! Shane as I’ve bee before and wanted my children to experience it. Thanks for letting me know Fiona. I have been there twice during summer but never experienced a queue. I think that the place is getting very popular. I will add the info on the post.